This hand made birch wood box has an original painting of a Brook Trout on the top. Box is stained a medium walnut color and is lined in green felt. 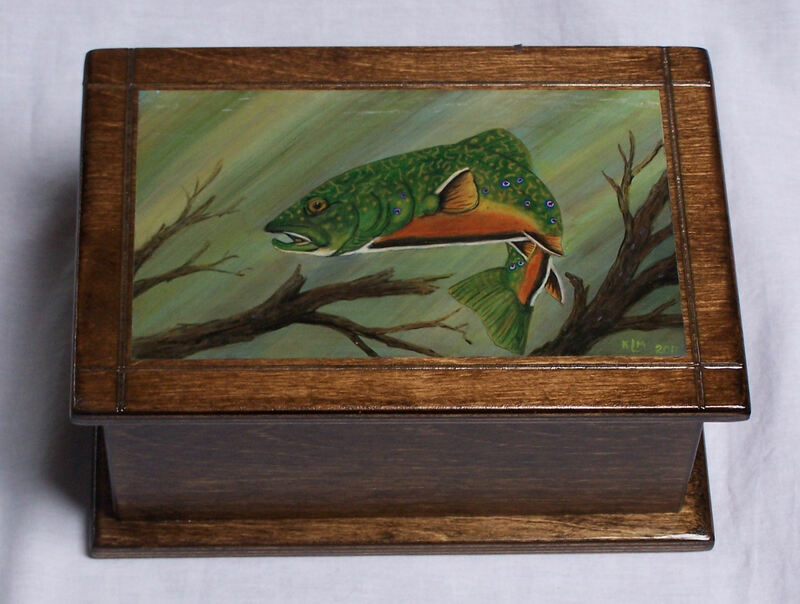 Dimensions of box are 11″ x 7.5″ by 5″ deep.